The James Beard Award-winning chef ticks off the favorites that inspired him to redefine Vietnamese food in the U.S.
Buzzy restaurants and bars clog the Mission now, but in 1995, the super-hot San Francisco ‘hood was known more for auto-body repair shops and daylight muggings than innovative cuisine. 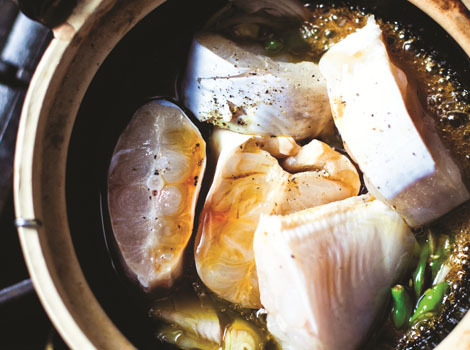 It was in the midst of this unsavory era that Charles Phan decided to convert an old kitchen cabinet store into a bi-level restaurant that put the spotlight on cooking from his native Vietnam. At the tiny Slanted Door, a staff of eager family members presented homespun food on beautiful ceramics—a nod to Phan’s past as an architecture student at UC Berkeley. It was just as much a Californian restaurant as a Vietnamese one. His family ran a successful general store in Da Lat, in the Central Vietnam Highlands, until 1975, when 13-year-old Phan and his five siblings fled the country with their parents just before the fall of Saigon. After a brief stopover in Guam, they landed in San Francisco’s Chinatown, where his father was relegated to janitorial work and his mother started sewing. He pulled his own weight by bussing tables. I knew putting Vietnamese food in a modern setting was a big niche to be filled. Phan set out to introduce curious diners to the nuanced, vibrant cuisine of Vietnam, all the while embracing California ingredients. Outgrowing the Mission, the Slanted Door landed in a temporary space on the Embarcadero Waterfront before Phan gambled on what was then the brand new Ferry Building. His quirky little restaurant had grown into a spacious, upscale operation with views of the Bay Bridge—and soon, an empire including Out the Door, Hard Water, South, and The Coachman. Vietnamese cuisine may still lack the widespread prevalence of, say, Thai, but a spike in appreciation for it can certainly be traced to Phan. 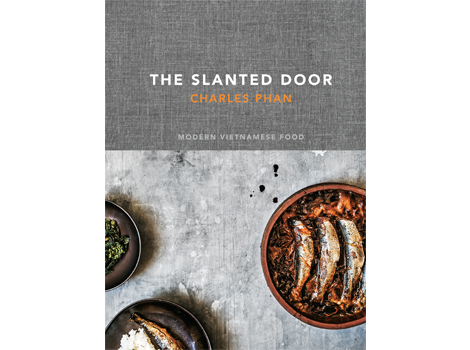 His new book, The Slanted Door (Ten Speed Press), captures the restaurant’s 20-year influence on the American culinary landscape, reminding readers of his determination to not just crank out pristine noodles, but celebrate organic produce, high-end loose-leaf teas, an extensive by-the-glass wine list, and craft cocktails—pioneering moves at the time. 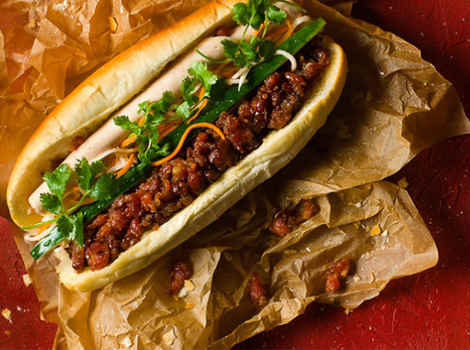 Phan won’t be barn-bound anytime soon—not when Shaking Beef and his mother’s spring rolls still bring the crowds out. 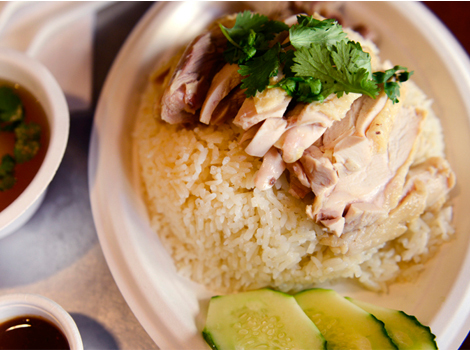 From Dungeness crab-strewn noodles to under-appreciated Hainan chicken, here are 10 of the dishes that keep Phan inspired to evolve. When we moved to California there wasn’t that much Vietnamese food around. Coming home from college, my mother would make us many of her specialties, including spring rolls. 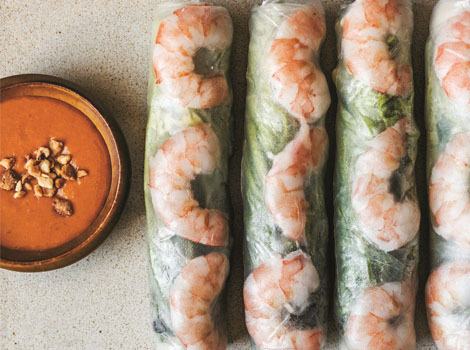 It’s a common dish, but her spring rolls were unique because she slathered the rice paper in a homemade mayonnaise and learned how to make peanut sauce just the right way from a co-worker at the sewing shop. It’s the dish that gave me the confidence to open a restaurant—and, of course, it appeared on the Slanted Door’s first menu. 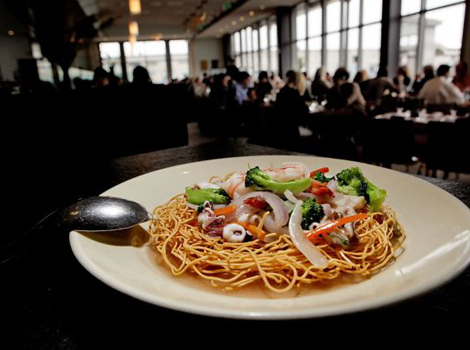 You don’t often see crab with noodles at restaurants; it’s made at home. 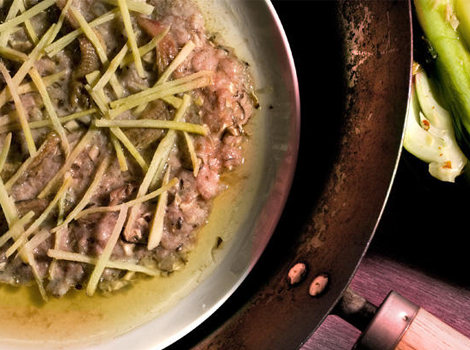 It’s a simple dish I grew up with, but when I opened my own restaurant, one of the things I wanted to do was bring the philosophy and culture of my country to San Francisco. So, I put it on the menu and it was an instant success. 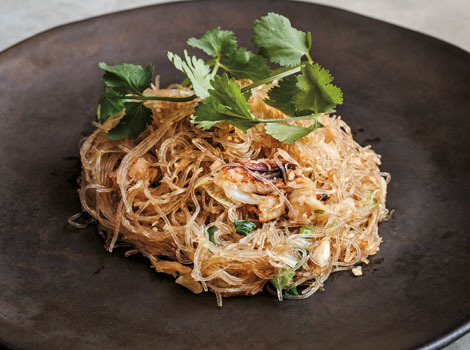 I use chewy cellophane noodles and, because it’s California, obviously Dungeness crab. This savory dish is a classic that also has roots in my childhood. I grind the pork by hand with two cleavers, add ingredients like mushrooms and fish sauce, and form a kind of patty. Then I add salted mackerel or anchovy and steam it with ginger. It’s become my kids’ favorite food, too, and we eat it at least once a month. 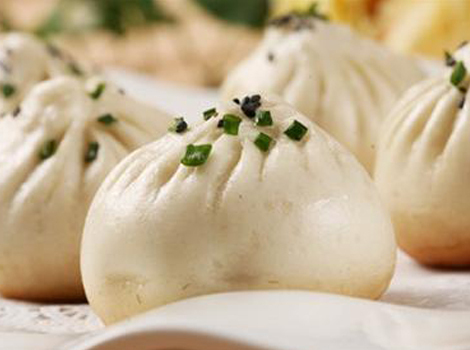 I grew up eating different kinds of clay pot dishes. Sometimes my mother made it with sardines, sometimes she made it with mackerel. It’s different now, but back then customers didn’t love sardines and mackerel was hard to find, so I adapted the recipe and served it with catfish. I make it with caramelized chicken, too. It’s great to eat with hot rice so you have something for the sauce. On my first trip back to Vietnam in 1992, I discovered shaking beef at a hotel in Saigon. I loved it .The way they seared the meat and doused it in soy vinegar, the combination of the fattiness and the citrus—it was all so great. When I decided to put it on the menu, instead of the flank steak they used, I chose filet mignon. 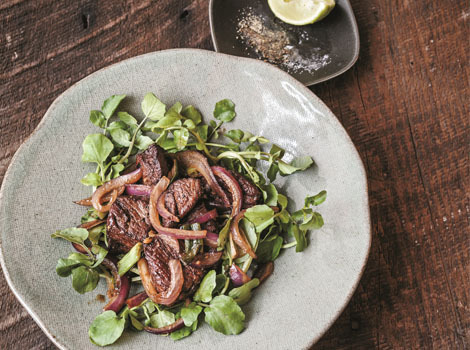 Using a better quality and cut of meat definitely helped make this dish a big hit for us. Sometimes you see glutinous rice in savory dishes, but I like it as a dessert with banana, tapioca, and coconut. It has a great rice pudding texture.